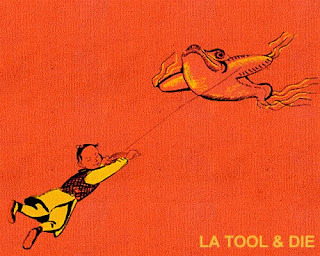 LA Tool and Die stole the towel of another power-pop indie group, Casper & The Cookies and won’t give it up without a fight. They want a video posted of the band dancing and wearing fake mustaches. Well, that was back in June. It didn’t appear to work. Casper and the Cookies, evidently, didn’t think a towel was worth the humiliation. The towel continued to be in the grasp of its captors. Get an update on the hostage situation here.